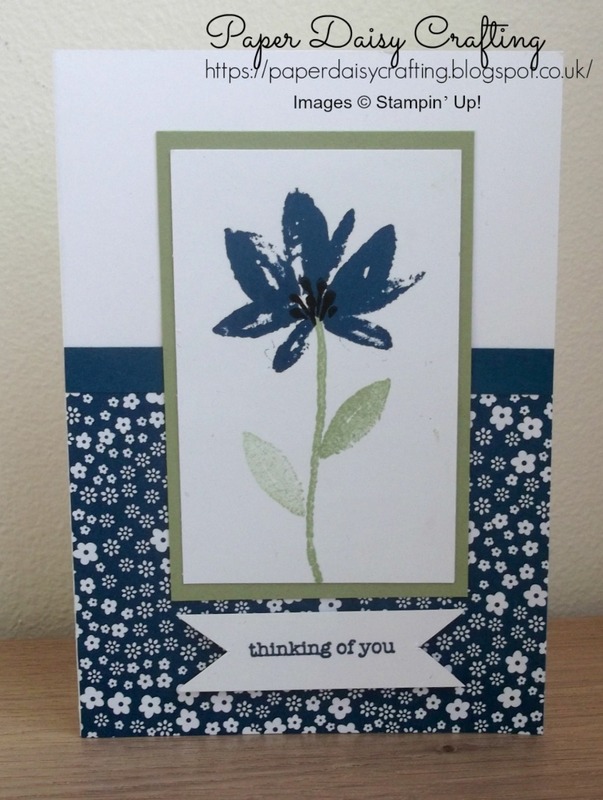 Paper Daisy Crafting: More Avant Garden from Stampin' Up! 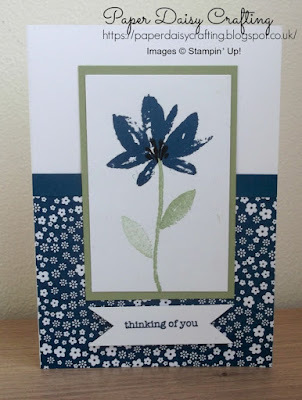 More Avant Garden from Stampin' Up! Really quick post from me today as I'm off for a day out with Jess, my oldest daughter. She has been offered a job in Milton Keynes so we are going for a day trip to see what its like! Just wanted to show you another version of the card I featured yesterday - exactly the same design but very different colorway. This one is made in Dapper Denim - a colour I've not used much before but quite like it here. What do you think?